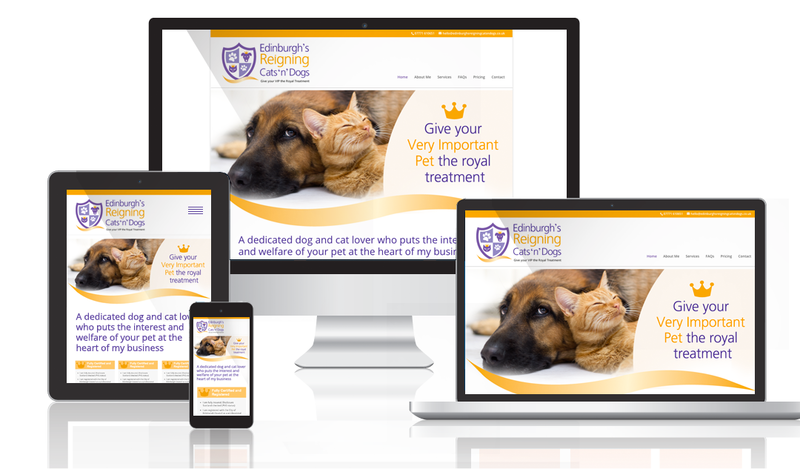 The website process can be a daunting one but we have been creating custom websites for a number of years now and have gained an in-depth understanding of what makes a website successful. I’d like to share 5 essential website features which will contribute to your website’s success. Your site must be able to adapt to whichever device your potential customer is using. This shows your customer you are thinking of them and their user experience. Importantly, Google now prioritises these sites in searches so if you want to stay competitive, you need a responsive website. How a page is structured, how the text reads and how it speaks to potential customers is the essence of a great website. Web copy is structured very different to print. The reader only scans a page and has a shorter attention span so we take this into account when styling up the text. You can’t underestimate the importance of your main image on your home page, or any other page for that matter. Images evoke feelings, emotions and help capture your audience. We want to generate leads for your business so a strong call to action is essential. We don’t want customers to miss it so it has to be at the top or near to the top as possible. One call to action which is very successful is “Book your free consultation” – it’s hard to resist. This is essential in helping your potential customers find their way through your website. We suggest limiting your top-level navigation menu to no more than seven clearly labeled tabs with related pages organised under them. You should also have a clear way to get back to the home page no matter where your readers land such as a clickable logo at the top. These five very important features are foremost in our minds in every project and help us create successful websites for each customer.